A leading Republican and a lagging Democrat became the first major candidates Wednesday to file for New Hampshire's first-in-the-nation presidential primary. 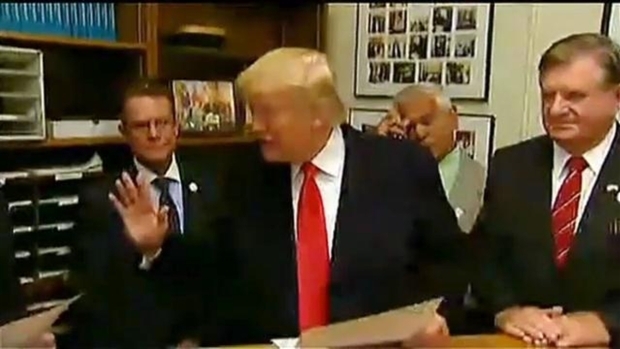 Celebrity businessman Donald Trump and former Maryland Gov. Martin O'Malley were among a handful of candidates who signed up to get on the ballot as the filing period opened. Candidates have until Nov. 20 to file for the primary, which is expected to be held Feb. 9. "Wow, this is some turnout!" Trump said as he entered the secretary of state's office, which typically is jammed with members of the media and the public when major candidates sign up. Earlier, Trump was greeted by a large crowd of supporters outside the statehouse. Compared with other states, it's relatively cheap and easy to get on the ballot in New Hampshire. Candidates must meet basic requirements to be president, fill out a one-page form and pay a $1,000 filing fee. "They wanted a cashier's check," Trump said. "So this is from a bank that's not actually as rich as we are." Speaking to reporters later, Trump criticized retired neurosurgeon Ben Carson, who has topped Trump in some recent national polls. "We need someone with tremendous strength and tremendous energy," he said. "Ben Carson does not have the aptitude to bring jobs back, does not have the aptitude to deal with China, Japan, Mexico and any other country you can name." "We talk about Jeb (Bush)," he said. "Jeb Bush is a low-energy person. Ben Carson is super-low energy," he said. Earlier, O'Malley dismissed Trump's campaign, saying while he understands that many Americans are apprehensive about their children's futures, Trump and other "unscrupulous people" have seized on that fear and blamed the nation's challenges on "people who are not like us." "I find extremely distasteful and repugnant Donald Trump's racist rants against new American immigrants," he said. "I find that sort of politics to be base and crude and demeaning of everything our country is about." 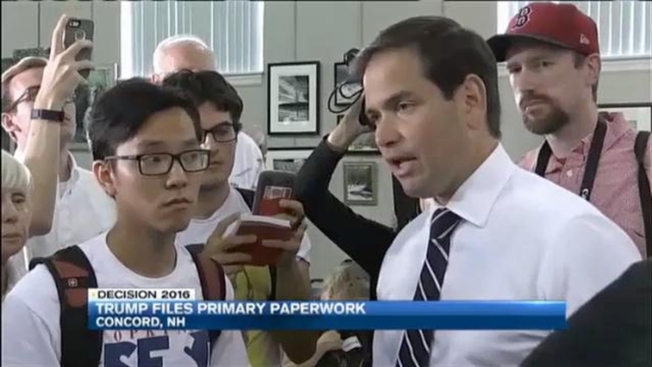 Wednesday marked the start of primary season in New Hampshire. 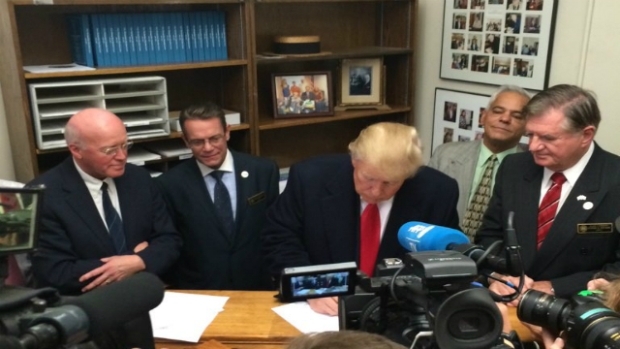 Republican presidential hopeful Donald Trump made sure to get his name on the ballot. He signed up at the secretary of state's office. O'Malley, who lags behind Democrats Hillary Clinton and Bernie Sanders, said voters want a president who gets things done, not "old names or polarizing figures." "I feel like we really just turned the corner in this race," he said. "Most voters here in New Hampshire and in Iowa are only now into that decision window. Everything prior to this was pre-season. ... And it's out of our party that new leaders emerge. That's what I think is going to happen here." The filing period for candidates to get on the ballot runs through Nov. 20. For the 2012 election, 44 presidential candidates from 26 states got on New Hampshire's ballot. The all-time high was 1992, when 61 signed up. In 2008, a Minnesota fugitive living in Italy sent his papers by courier to become the first to file, beating an ex-convict who turned his appearance into an erratic one-man show that included cursing and multiple costume changes.